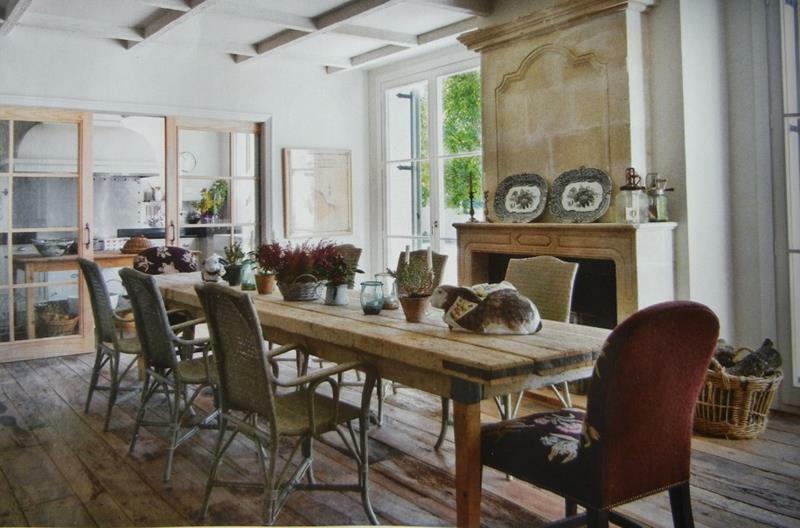 Made out of reclaimed wood, the antique wood of this rustic dining room’s table is something to behold. 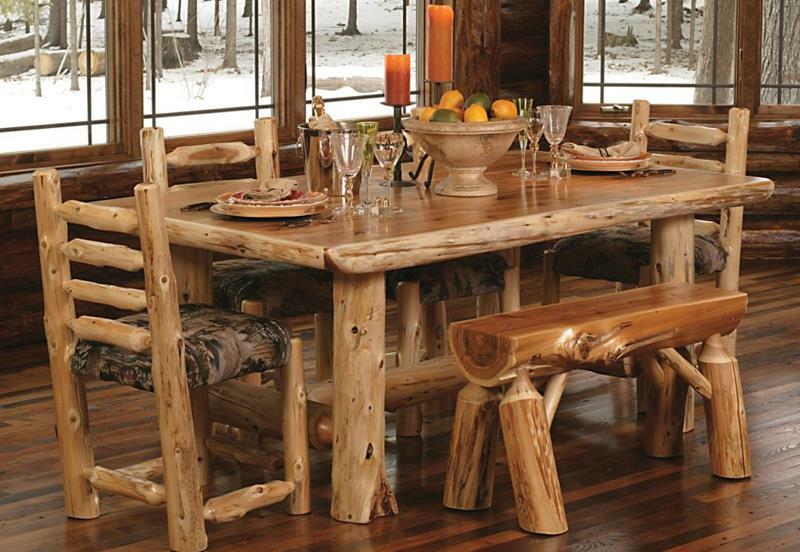 If you’re looking to craft a cabin-like feel in your dining room, this one should provide you with plenty of inspiration! 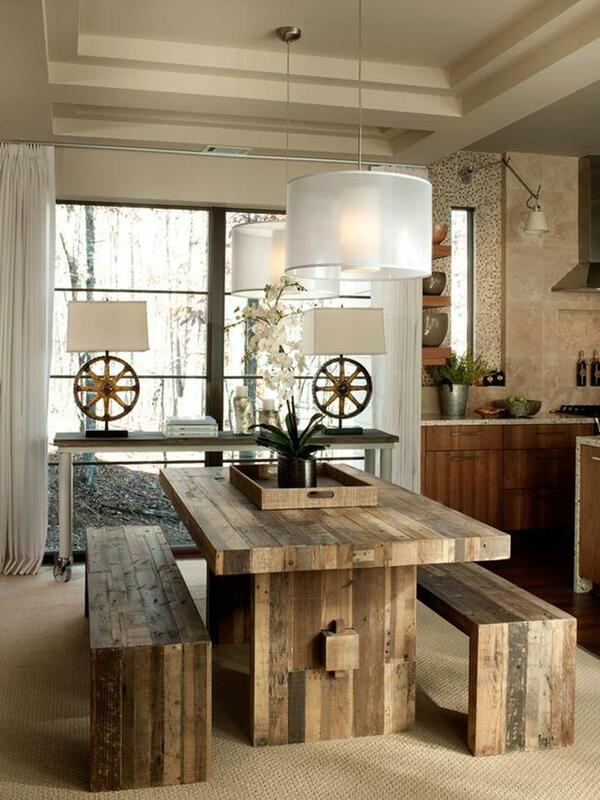 This dining room design does an excellent job of bridging the modern world with the one that came before it. 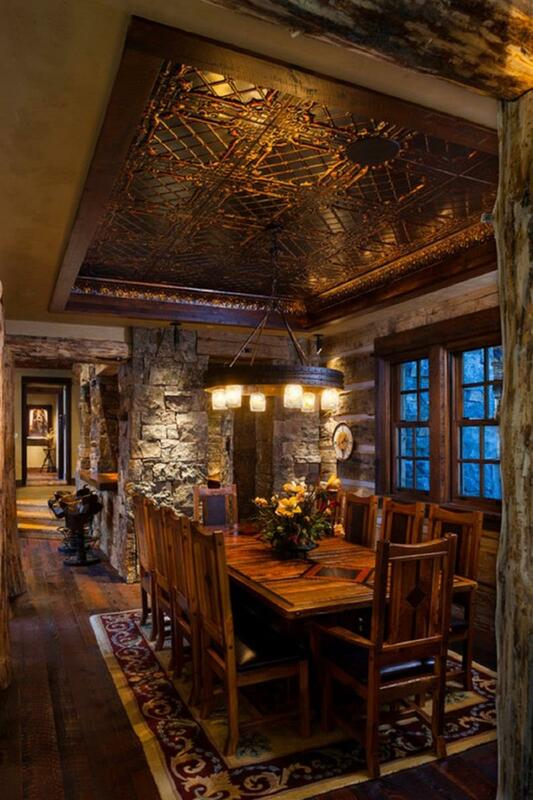 Though dark, this stunning rustic dining room design offers a perfectly intimate locale to enjoy dinner with friends and relations. 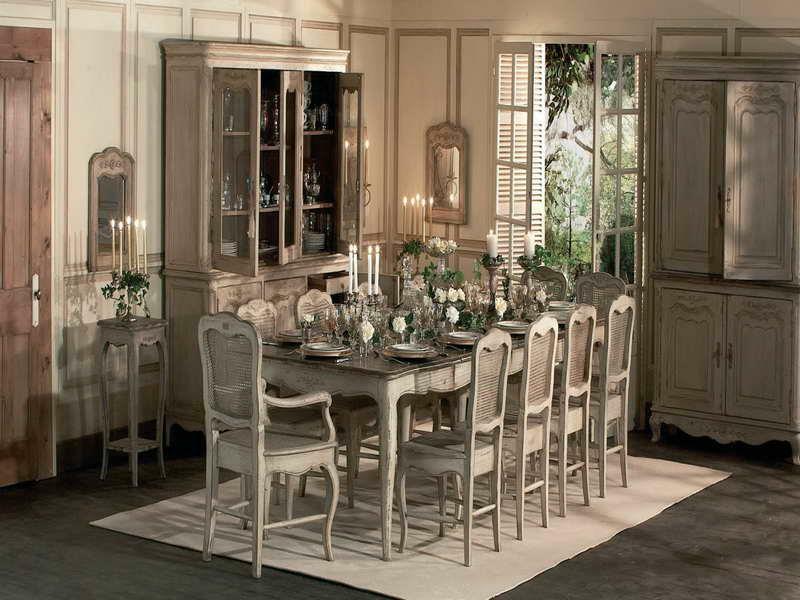 Here we see a stunning and classic example of rustic, French country design, which lends this dining room an airy feel.